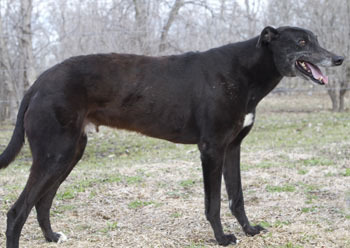 Carbon is a 9-year-old large black male born in April 2004. He arrived from the same source as Onyx, Harry, Charity, Clooney, Cupcake, Timex, Stetson, Stewart, and Blade. Unfortunately Carbon, like the nine others, arrived heartworm positive, and he was also carrying a heavy load of intestinal parasites. Results from the tick panel performed by Protatek are negative. Carbon is tattooed; however his tattoos are difficult to read and are being researched at this time. After over a year of treatment, Carbon is finally heartworm negative! 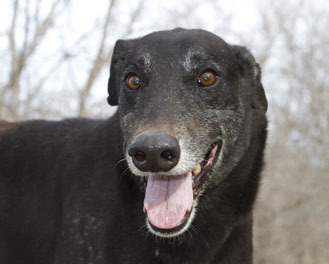 Let's hear it for Carbon as he starts the search for his forever home! Carbon is not cat tolerant.